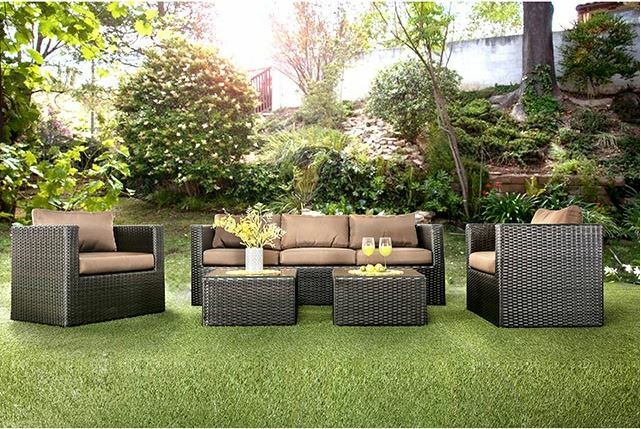 Sit in style and enjoy the sun with this beautiful outdoor sofa. 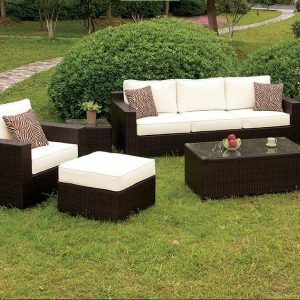 The sleek track arms steadily encase the fabric cushions and pillows while wrapped in a tight wicker frame. 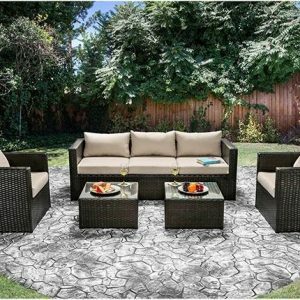 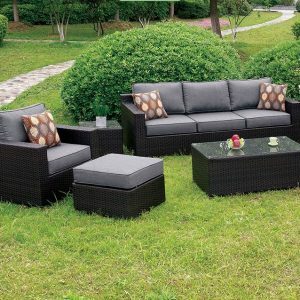 This patio set includes a sofa, 2 chairs and 2 tables.